I’m endlessly fascinated by stories of average humans doing epic stuff. Often it’s not what they’re doing that’s so alluring, but rather HOW they’re doing it. On Art of Doing, I explore this question through interviews with inspiring people and the occasional Jam Session. Sometimes we geek out on the research and science behind how humans get things get done. Sometimes we get a little spiritual and explore the softer side of accomplishments. Sometimes we dig deep into routines and the practical steps that help us move us from point A to B. Often we talk about the mindset shift required to move beyond our perceived limitations toward a life really well lived. If there’s one thing that’s certain, there is no one way of doing anything. In that spirit, Doing becomes an Art, and an interesting Art at that. 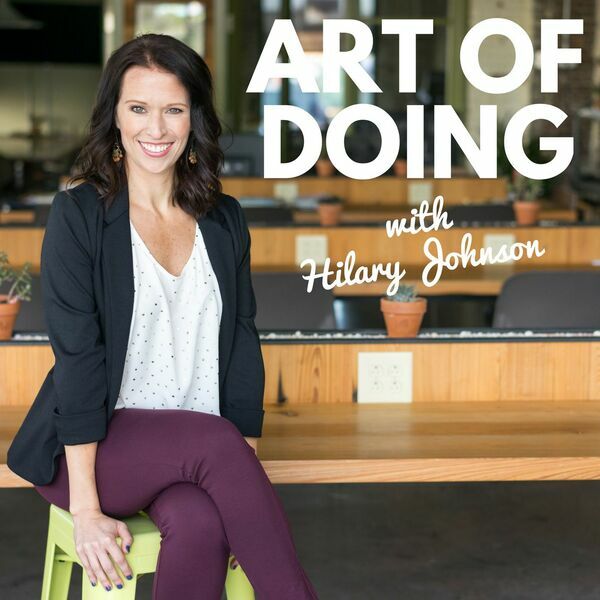 Welcome to the Art of Doing. No. 77 | Goodbye, for now. No. 69 | What pain are you willing to endure to reach your goals? No. 57 | Want to be a successful entrepreneur? Stop chasing shiny objects! No. 56 | Who do you want to hear on the show? No. 53 | Jam Session - How Do You Define Success?